Bombardier lead the way in defining specific watercraft for specific users. 1992 was the year the ‘luxury performance’ watercraft customer was defined and a model was specifically designed for those looking for a more refined on-water experience through a more refined watercraft. The Sea-Doo GTX (Grand Touring with Extras) was born and again a new segment of the industry was introduced. With the GTX people experienced the maximum in engine and Direct Drive Jet Propulsion performance with the engine package introduced in the 1991 XP nestled in the shell of the GT three-seater package with – relative of the times – plush seating and high-end graphics and colorization. With the launch of the GTX model the Sea-Doo three-seater line was complimented with a more value minded three-seater model, the Sea-Doo GTS. It was added to the line-up for the all around watersports family. To promote the fact that the new Sea-Doo GT watercraft were more than capable of doubling as watercraft superstars and viable tow vehicles, Bombardier sponsored the budding Pro Wakeboard Tour. Anheuser-Busch, parents of Budweiser, sponsored ESPN’s “Hot Summer Nights” programming that brought lifestyle sports to the mainstream during prime time Tuesday night summer programming. Part of this programming was the Pro WaterSki Tour and new Pro Wakeboard and Kneeboard Tour where half of the scored pulls were done behind the new Sea-Doo GTX. This marketing effort was done to promote the ability of the Sea-Doo three-seater watercraft in being more than capable of towing these new ‘extreme’ sports and characteristic of being easier and more economical than traditional inboard boats while towing. 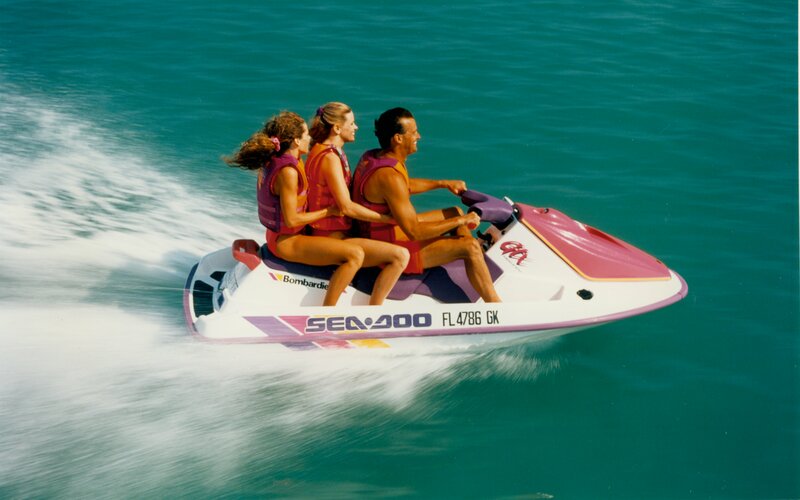 Performance was further pushed following the introduction of the Sea-Doo XP. 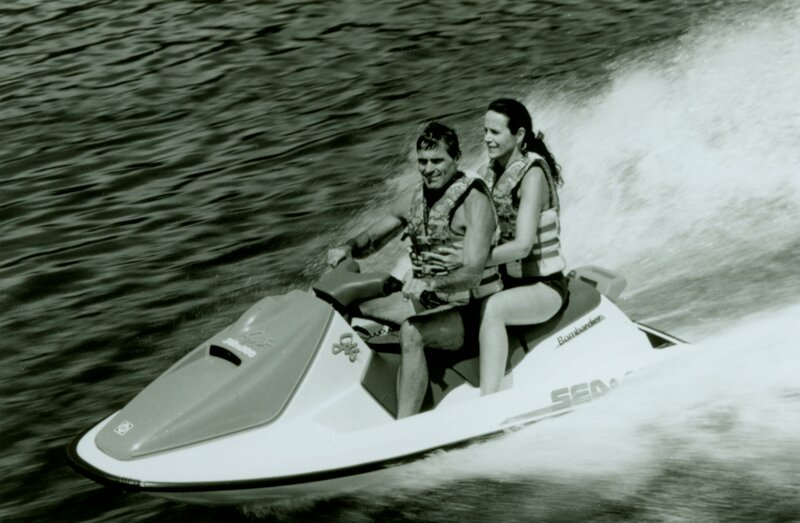 As the performance runabout continued to gain popularity the 1992 Sea-Doo XP was upgraded with V.T.S. (a manual Variable Trim system) in addition to the rear grab handle and twin carb and tuned pipe performance package. 1992 also marked the first IJSBA National racing Championship for runabouts in which Palm Bay, Florida racer Bo Dupriest claimed the first ever title aboard a Sea-Doo watercraft. i have a 93&95 GTX and a 2000 GTi. I LOVE SEA DOO!! i wish the company could reproduce the older 2 stroke models tho! please look into that!